On occasion, we get dismissed as “still learning,” or “unprofessional” by our fellow students—that’s to be expected. But when a city of Montreal official told me that he didn’t take questions from student media, I knew this issue had to be addressed. Student-run newspapers, magazines, radio and TV stations are often ingrained in a school’s history, many existing for nearly a century. But they’ve had to deal with the same hardships as their commercial counterparts, such as declining ad revenue and readership, though cushioned from bankruptcy by fees levied from students. But campus media must also cope with inevitable organizational challenges that come with regular turnover and being run by student volunteers. Add to that issues of space and autonomy: when independent newspapers like the University of Waterloo’s Imprint was evicted by student unions after unfavourable coverage—or when the University of Windsor’s 88-year-old newspaper, The Lance, was told to stop publishing altogether. The student newspaper had published editorials and stories critical of the university. Students sued their university for violating their First Amendment rights, but judges ruled in favour of the administration in 2005, citing a 1988 Supreme Court decision which grants censorship rights and oversight to high school officials over school-funded media. Just a few years after the Governors State University case, Illinois politicians passed the Illinois College Campus Press Act which protects campus media from public officials trying to meddle in editorial decisions, overturning the 2005 decision. 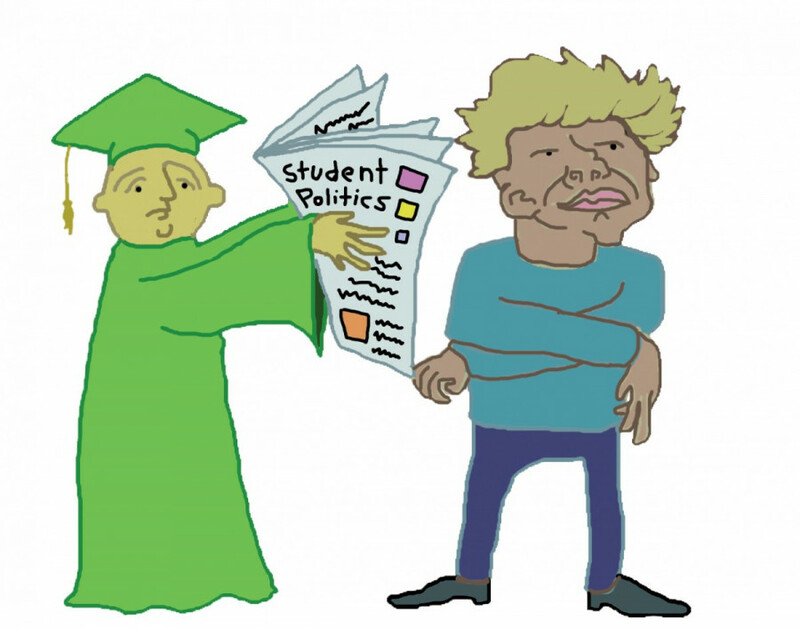 Legislation that discourages student journalists from reporting on controversial issues relevant to their communities infringes on basic rights to criticize and hold accountable leaders in the university system and beyond. Canada is not exempt for student press censorship, as described above. In 1993, the University of British Columbia’s student paper, The Ubyssey, was nearly shuttered when the student society tried to impose a new publication board with the power to fire editors and cut its budget. Still, there’s no doubt about student media’s significance. During the Sir George Williams University Computer Riots, The Georgian, the student newspaper at the time and predecessor of The Link, helped document the events, and would serve as a venue for Black students at the university to share their perspective. During past student protests, most notably the strikes of 2012, as well as ongoing protests, student journalists have been on the streets, reporting, talking to people, photographing events beyond the capacity of mainstream organizations. So it came as a small surprise—I shouldn’t have expected more, I guess—when one of the city of Montreal’s media relations workers told me he was directed to no longer answer requests by student journalists. “We get a lot of requests from other media,” he said. This was the same person who had answered my requests a couple of months earlier when I had been interning for one of these other media. With a political climate of budget cuts and a local press that never shies away from critique, maybe Montreal’s media hotline doesn’t have the resources to answer every journalist’s questions. Legacy news outlets are downsizing in Montreal, so you’d expect that the Mayor’s office and city would be receiving far fewer phone calls from journalists. If we can agree that student journalism differs only in that it is based out of a learning institution, serves as starting points for many professional journalists, and produces the same quality of work, then there’s no explanation for inferior treatment.